Alshon Jeffery has been cleared for contact. 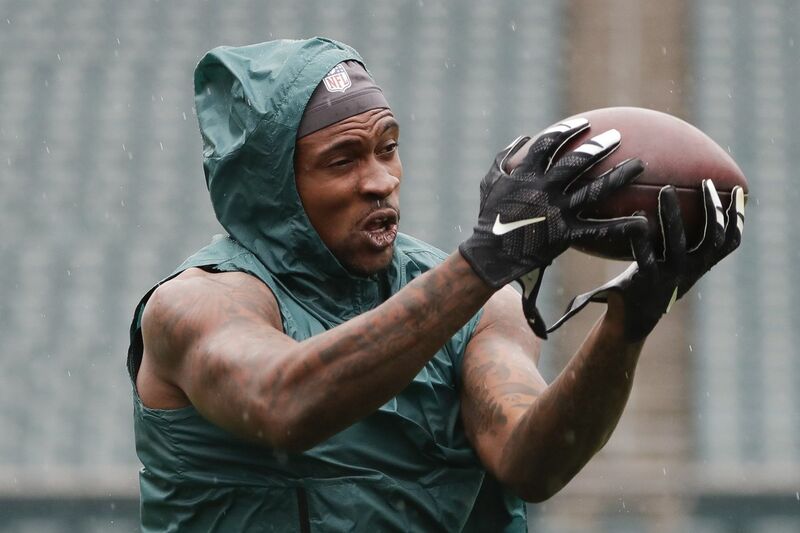 Eagles wide receiver Alshon Jeffery has been cleared for contact, coach Doug Pederson said Wednesday. Jeffery's game status will be determined later in the week, but the medical clearance seemed to be last obstacle after he started practicing two weeks ago. "Alshon's doing well, he's cleared, and we're excited to get him in the mix and see where he's at," Pederson said. "We'll make a final determination obviously later in the week." Jeffery has not yet played this season after undergoing offseason rotator-cuff surgery. The offense needs Jeffery, whose presence will help the other wide receivers. Pederson said Jeffery's return would offer continuity and "flow with that group." Pederson would not say if Jeffery would resume his normal workload if he plays. "You'll have to wait until Sunday," Pederson said. Pederson had no update on safety Rodney McLeod, who injured his knee Sunday. "At this time, quite honestly, we're waiting on one more test result to come back," Pederson said. "I should have something later in the week, actually. I keep pushing it down the road, but that's the truth." Corey Graham would start if McLeod can't play. The Eagles also have Deiondre' Hall. Pederson would not say if they would move a cornerback to safety. "We'll see how it unfolds this week," Pederson said. "I'm not going to get into the depth chart back there. We do have a plan for it. We like where we're at, and we like our options." Also, running backs Darren Sproles and Jay Ajayi are expected to return to practice this week, Pederson said. A game determination will be made later this week.